Have you tried the My Memories Suite photo tiling feature yet? I really love this technique and use it quite often. In the scrapbook page below I used a couple of features available in My Memories Suite. First I changed the larger photo color to sepia using photos effect. Then I used the photo tiling feature to separate the original color photo across three photo boxes. 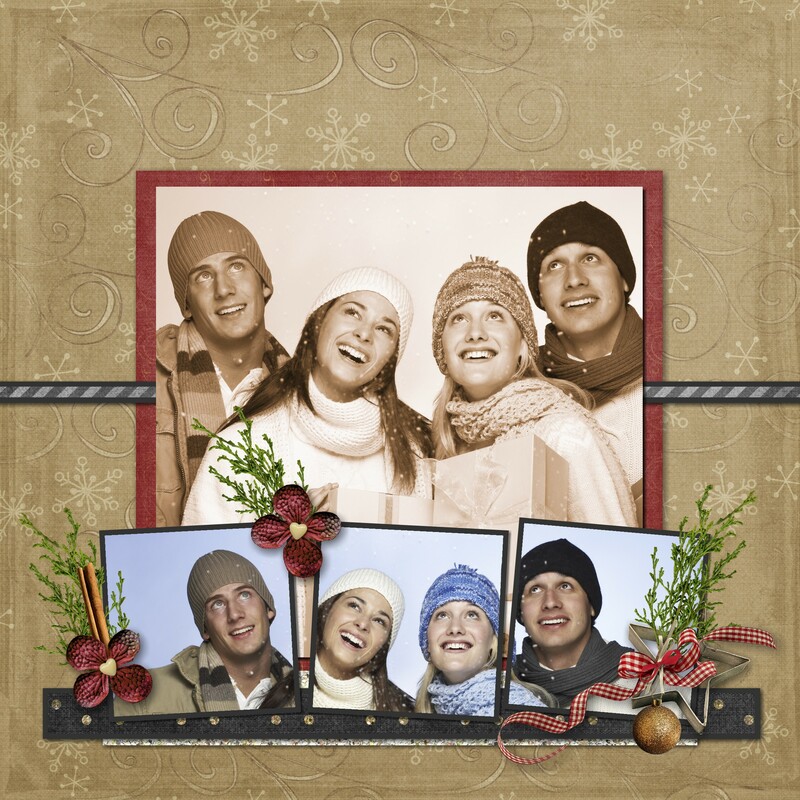 Once the photo is placed in the three boxes you can ungroup them and then work with each photo box individually to tweak the placement of each portion. It’s a very versatile effect and a useful scrapbooking idea. This entry was posted in My Memories Suite, Quick Tip on October 31, 2013 by Yobeth. As you can see in this scrapbook page the little girl is placed outside the trim area. 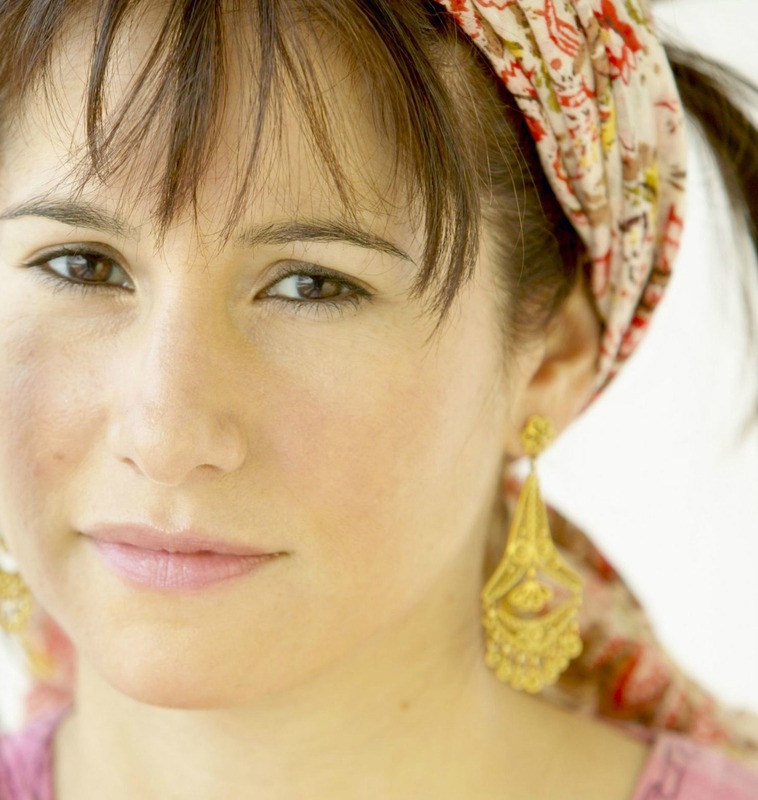 If she was placed along the edge of the page part of her body could be cut off when printed. This entry was posted in Memory Mixer, Quick Tip on October 30, 2013 by Yobeth. 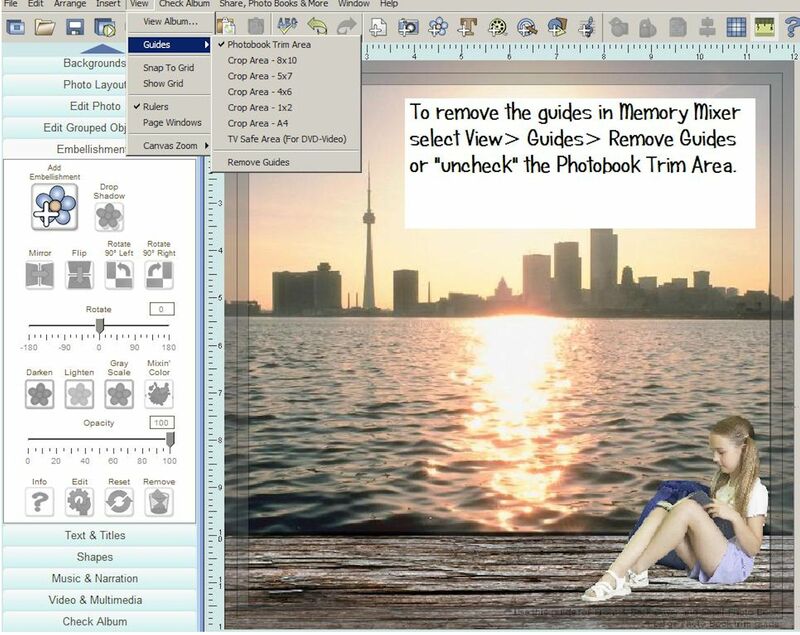 Would you like to know how to remove the trim guides when you’re working on your scrapbook pages in My Memories Suite? Personally I find them distracting so I turn them off first before I start working on my layouts. Here are a couple of ways to do it. Keep in mind that you don’t want to put text or embellishments close to the edge of your scrapbook page because it might get trimmed or be in the fold when printed. Before having a scrapbook printed you might want to turn them back on (View> Guides> Trim Area) while you are proofing your album. This entry was posted in My Memories Suite, Quick Tip, Tip, Tutorial on October 29, 2013 by Yobeth. 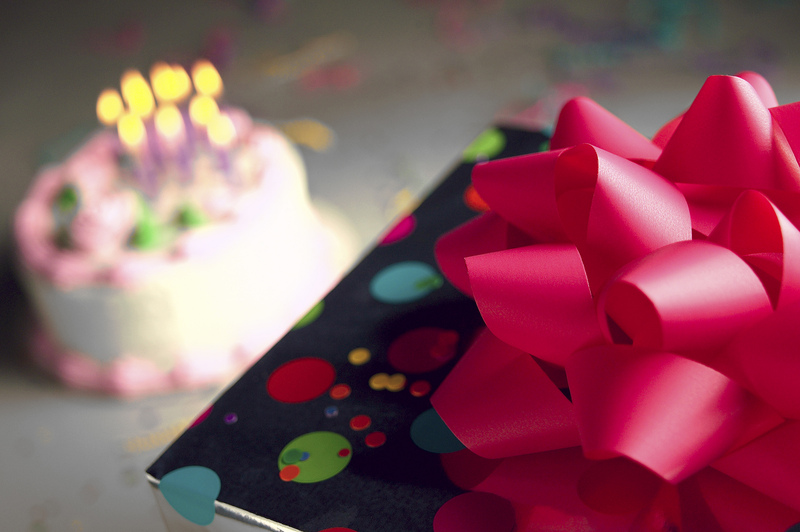 Hallelujah, MyMemories Suite software giveaway day has arrived! 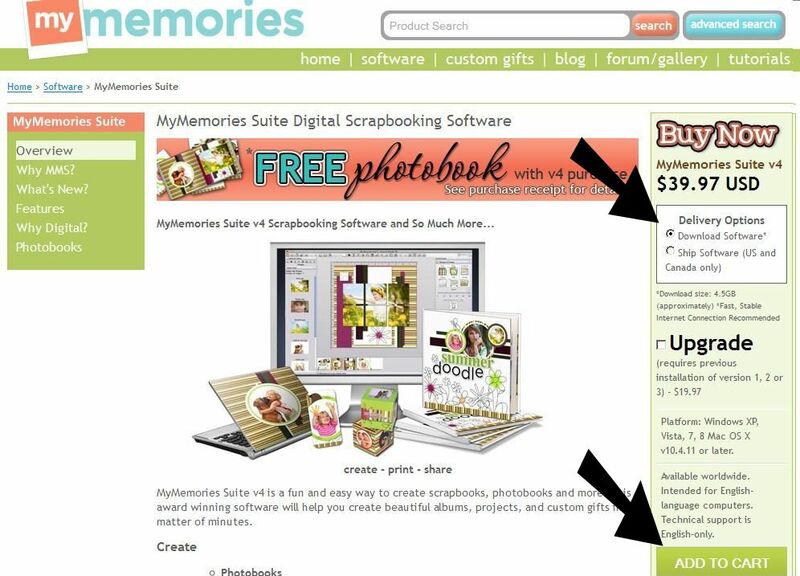 Today, October 26, is the day to get your free, yes free, digital scrapbooking software. Click here to download the full version of MyMemories Suite v4. 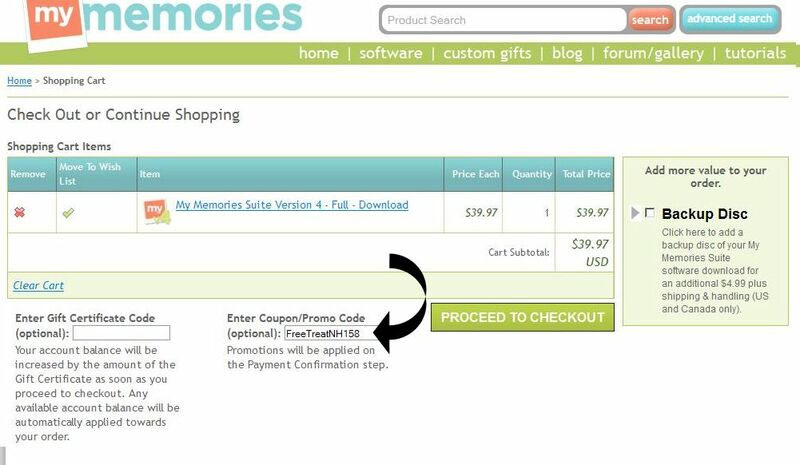 On the right side of the page you’ll see “Buy Now” MyMemories Suite version 4. Be sure “Download Software” is the chosen delivery option since the code is only good for the download option. Scroll down and click the green “Add to Cart” button, do NOT select “Try It Free”. You’ll enter the coupon code to get it free on the next page. Copy this code FreeTreatNH158 and paste it into the “Enter Coupon/Promo Code” area before checking out. Be sure to copy/paste so there are no typing errors. This code is good for today only. Don’t delay, today’s the day. You will receive a confirming email with download instructions. Have fun! This entry was posted in Announcements, Freebie, MyMemories and tagged freebie, mymemories suite, scrapbook software download on October 26, 2013 by Yobeth. It’s time to get ready for iNSD which is less than two weeks away. 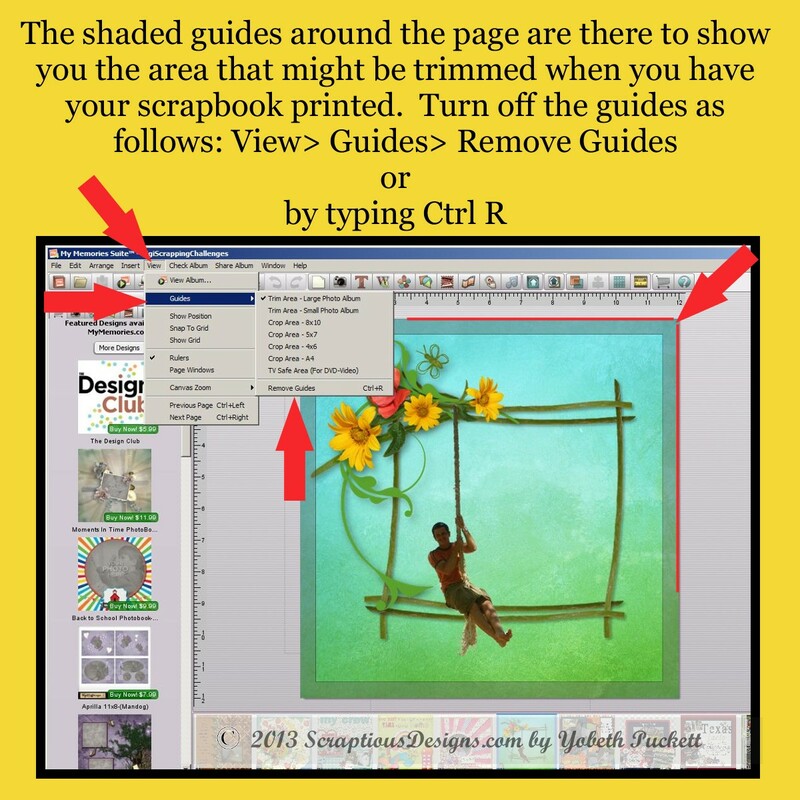 If you’re new to digital scrapbooking you may be wondering what iNSD is all about. It’s party time in the digi scrap world. Although iNSD stands for interNational Scrapbooking Day it actually lasts several days. The “day” is November 2 this year so it’s not too late to get ready. As part of the celebration there will be loads of freebies from stores and designers worldwide. They will also have loads of stuff you can buy of course. My advice is to take some time now to organize your current stash so you will be prepared for the onslaught. 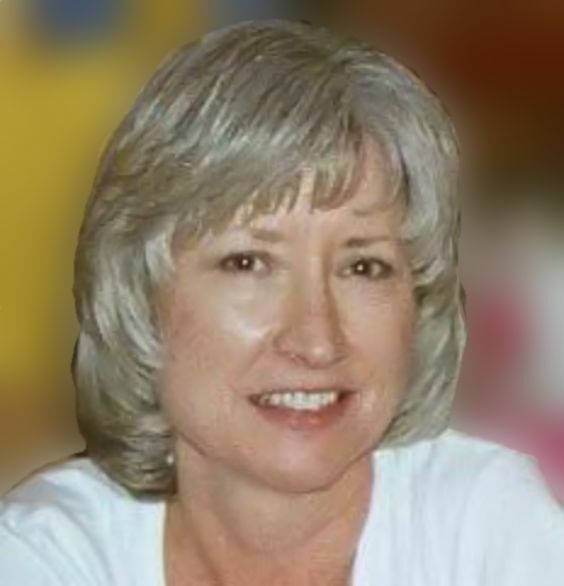 If you’re not uber organized already you’ll want to read Sharon Horswill’s article here. Even if you are organized already there are some great ideas you may want to incorporate. I create a temporary folder such as iNSD Nov 2013. Then download everything I think I’ll use into that folder. Then I go back later to deal with organization. That’s when everything gets a second look and more consideration. Some things are keepers and get filed appropriately and some things go into the trash bin. So before you download another thing, spend some time sorting through what you already have. You have a little over a week to get ready for iNSD. Have fun! This entry was posted in Announcements, Deals, Freebie, Holiday, Tip and tagged freebies, iNSD, NSD, organization, scrapbooking day on October 22, 2013 by Yobeth.